I have a concern related to the tutorial "Robot Brains - Animatronic Character Servo Control" from Rick Galinson. 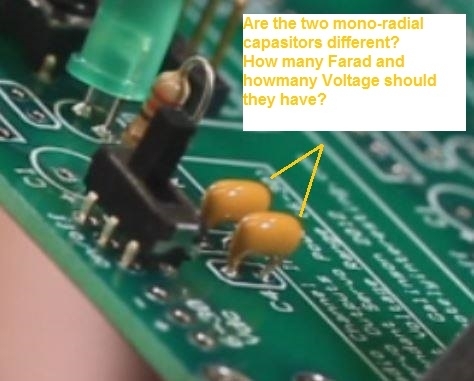 I'm looking for the exact specification for the Mono-Radial Capacitors and the Electrolytic Capacitors on the express pcb board. Can anyone help? Thanks in advance!